The Orange County LASIK Institute is proud to offer orange County's Newest and most advanced iLASIK technology. We are the only Orange County and Irvine area practice to harness have the new iFS Intralase bladeless system and the Advanced CustomVue treatment. At the Orange County LASIK Institute, we have decided to invest in this technology to ensure that our patient's will always get the safest and most accurate LASIK procedure available today. LASIK involves two steps. First the creation of the corneal flap with a laser and then the use of a second laser to treat your prescription. Not all lasers are created equal and having the best LASIK technology is pivotal to achieving the best vision and outcomes. The Orange County LASIK Institute is proud to offer Orange County's newest and most advanced fifth generation iLASIK technology. The Intralase laser has long been the industry leader for all laser LASIK. The iFS is the newest upgrade of the the Intralase laser. Just as major software and cars can upgrade, so do the LASIK lasers. The advances of the iFS LASIK laser include increased speed and safety. Dr. Pham can make a flap in as little as ten seconds with this new and advanced technology. In addition, after the corneal flap is made we use the Advanced Custom Wavefront technology of the Visx Star S4 laser At the Orange County LASIK Institute, we are committed to providing the newest technology for our patients at our Irvine office. Fifth Generation iLASIK Is the pinnacle of LASIK today. The first step of LASIK has been made safer by all laser technology. In the past, a microkeratome or mechanical razor blade was used to create a laser flap. The all laser system and Intralase was first introduced and FDA approved in the United States in 2001. It has been upgraded five times. We are the only laser eye center practice in Irvine and Orange County with the newest upgrade. Increased Speed (250% faster) than the fourth generation Intralase. This increased speed reduces the risk of flap complications compared to the previous all laser systems. The inverted Bevel-In Side cut is customizable up to 150 degrees. This promotes flap strength, replacement, and adhesion. It provides optimal biomechanical stability in the post-LASIK cornea. The Fifth Generation iLASIK Flaps are almost 4x stronger than microkeratome flaps. Less energy used due to increased speed. Flaps created in approximately 10 seconds. Compared to the fourth generation Intralase and other LASIK technology, patients have a faster recovery. Since the flaps are mechanically stronger, patients can resume most normal activities by the next day! It Also is the only FDA approved Iris Registration technology used to compensate for rotations of your eye as well as pupil centroid shift. The wavescan uses a device called a Hartman Shack Aberrometer to measure unique imperfections in your eye and visual system. This information is used to make a fully unique and custom treatment of your prescription. It is true custom, or wavefront guided technology. In wavefront optimized technology, an aberrometer and wavescan device is not used to create a treatment for you. In the Visx wavescan treatment an aberrometer is used to measure higher imprefections called higher order aberrations that are then used to treat your eyes. The Wavescan takes up to approximately 250 points of measurement to accurately measure and then to treat your prescription. If you compare the treatments below, these are three patients with similar myopia prescriptions of -2.25 diopters of myopia. With a wavefront optimized laser or noncustom treatment, the unique imperfections of the prescriptions will not be treated and all three of the patients below would have received identical treatments. With the VISX LASIK excimer laser they would have completely unique treatments. The eye can rotate clockwise or counterclockwise when we lay down. The Visx laser has the first and only FDA approved automatic system to compensate for eye rotation. The laser uses infrared lights to capture the unique characteristics of the human iris. Using these marks, it adjusts for the rotation of the eye during your Orange County LASIK surgery. 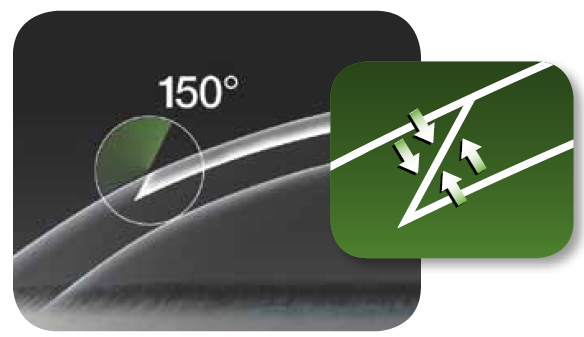 The Visx technology follows your eyes in an X (side by side), Y (up and down) and Z (in and out of socket) axis. If you move outside the range that the laser can track you it will stop within 5/1000 of a second! The laser beam spot size ranges from 0.65 mm to 6.50 mm. By changing the size of the laser energy, we are able to accurately use the correct energy depending on what type of change we wish to induce on your cornea. This is similar to a carpenter having many tools to create a project as opposed to just one. Laser systems that are not able to change the size of their laser pulses are more limited in the custom LASIK ablation that they can deliver. The Visx Excimer Laser varies the rate and speed that it delivers it's custom energy. By regulating this, we are able to conserve corneal tissue and minimize thermal effects to the cornea. 1. Data on file. AMO Development, LLC. CustomVue Procedure clinical trials submitted to the FDA; 2003, 2004, 2005 & 2007. 2. Greenberg K. WaveScan WaveFront system key to individualized LASIK treatment. Refractive Eyecare. April 2010. 3. Alcon’s Wavelight Allegretto Procedure Manual Addendum, August 2005. 4. Dai GM, Gross E, Liang J. System performance evaluation of refractive surgical lasers: a mathematical approach. Appl Opt. 2006;45(9):2124-2134. 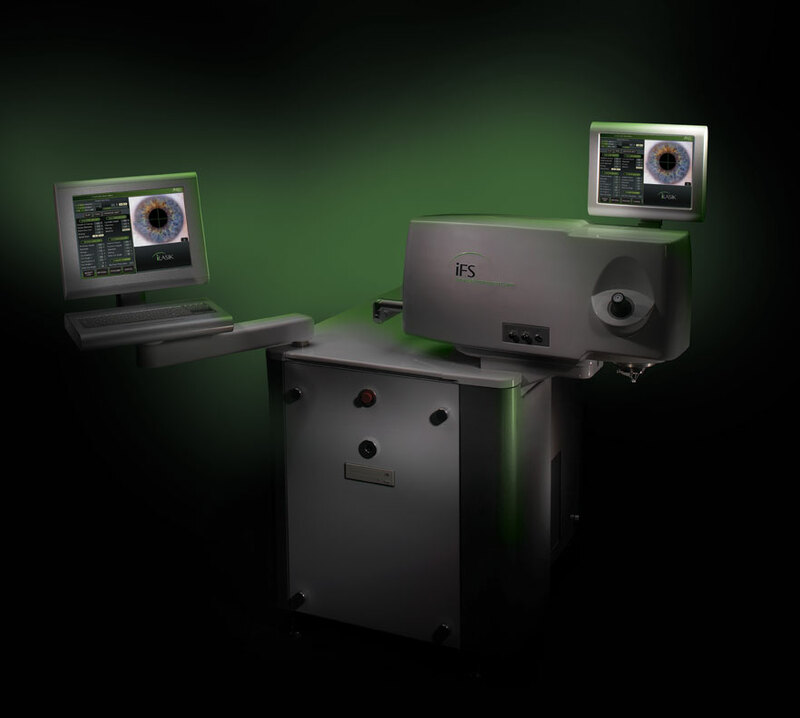 The Orange County LASIK Institute is proud to offer this new fifth generation iLASIK technology. We are always committed to providing you with the best patient care and LASIK technology. Please schedule a FREE LASIK consultation to learn more about our LASIK technology and practice. 1. Knorz MC, Vossmerbaeumer U. 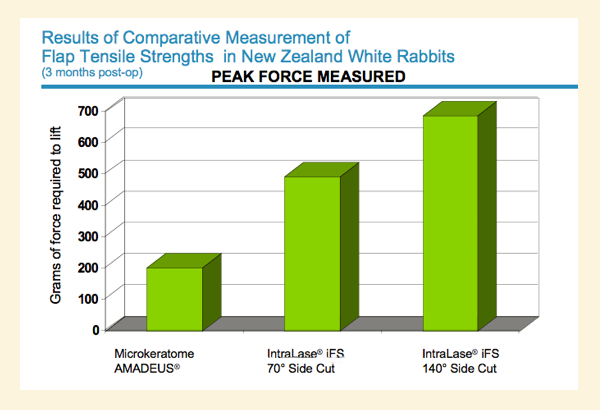 Comparison of flap adhesion strength using the AMADEUS microkeratome and the IntraLase iFS femtosecond laser in rabbits. J Refract Surg. 2008;24(9):875-878. 2. Binder PS. 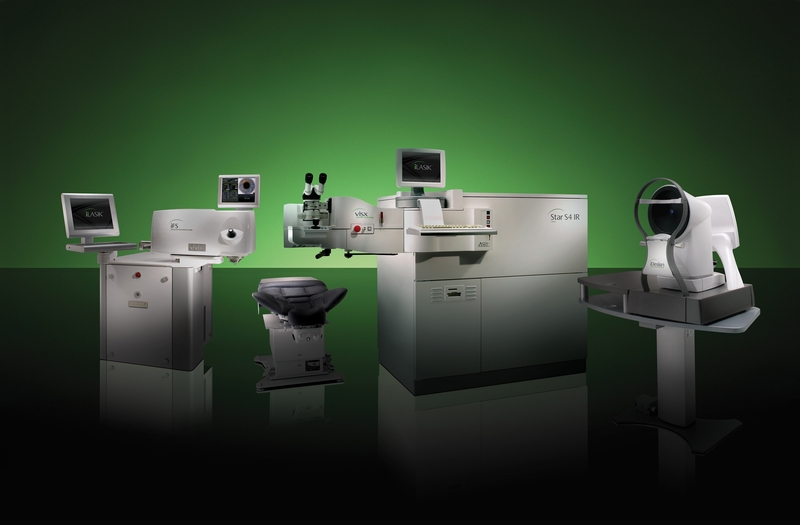 AMO’s new iFS advanced femtosecond laser: faster, safer, more versatile. Refractive Eyecare. 2008. 3. Donnenfeld E. Preservation of corneal innervation with femtosecond laser inverted sidecut flaps. Invest Ophthalmol Vis Sci. 2010 51: E-Abstract 2855. 4. Data on file. Study conducted by Melvin A. Sarayba, MD. 5. Tanna M, Schallhorn SC, Hettinger KA. Femtosecond laser versus mechanical microkeratome: a retrospective comparison of visual outcomes at 3 months. J Refract Surg. 2009;25(7 Suppl):S668-S671. 6. Binder PS. One thousand consecutive IntraLase laser in-situ keratomileusis flaps. J Cataract Refract Surg. 2006;32(6):962-969.
stability. Curr Opin Ophthalmol. 2006;17(4):368-372. 8. Kezirian GM, Stonecipher KG. Comparison of the IntraLase femtosecond laser and mechanical keratomes for laser in-situ keratomileusis. J Cataract Refract Surg. 2004;30(4):804-811. 9. Stahl JE, Durrie DS, Schwendeman FJ, et al. 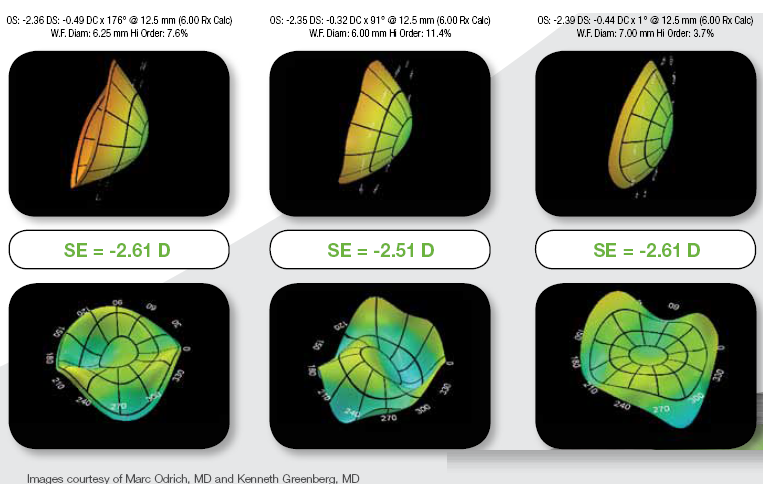 Anterior segment OCT analysis of thin IntraLase femtosecond flaps. J Refract Surg. 2007;23(6);555-558. 10. Steinert RF. Using IntraLase to improve penetrating keratoplasty. Refractive Eyecare. Feb 2007. 11. Price FW Jr, Price MO, Grandin JC, et al. Deep anterior lamellar keratoplasty with femtosecond-laser zigzag incisions. J Cataract Refract Surg. 2009;35(5):804-808.